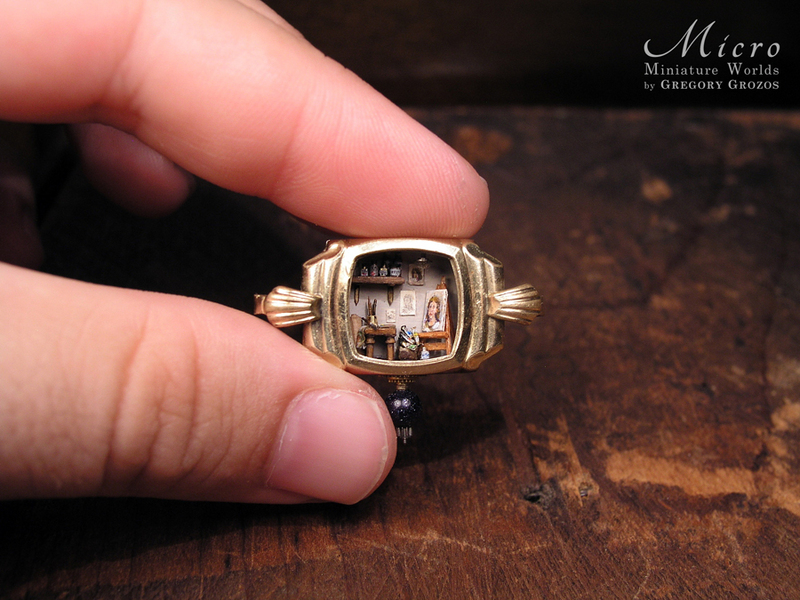 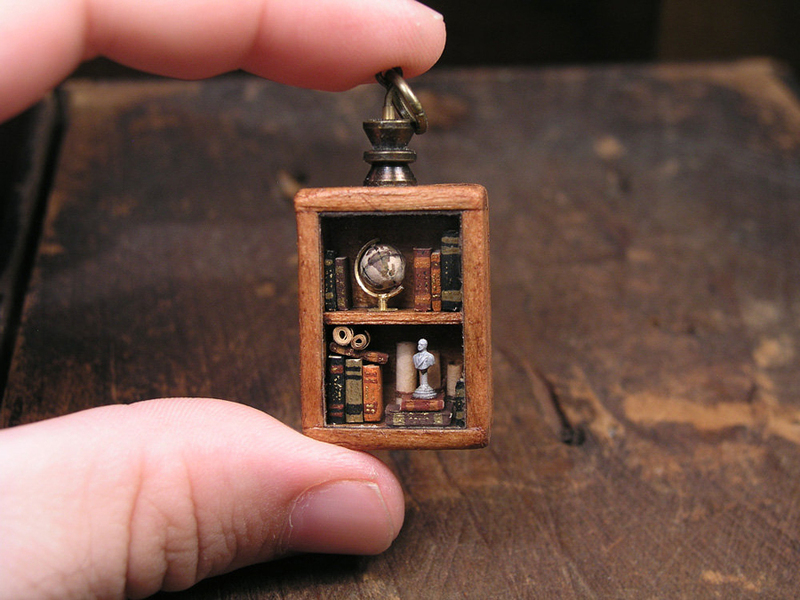 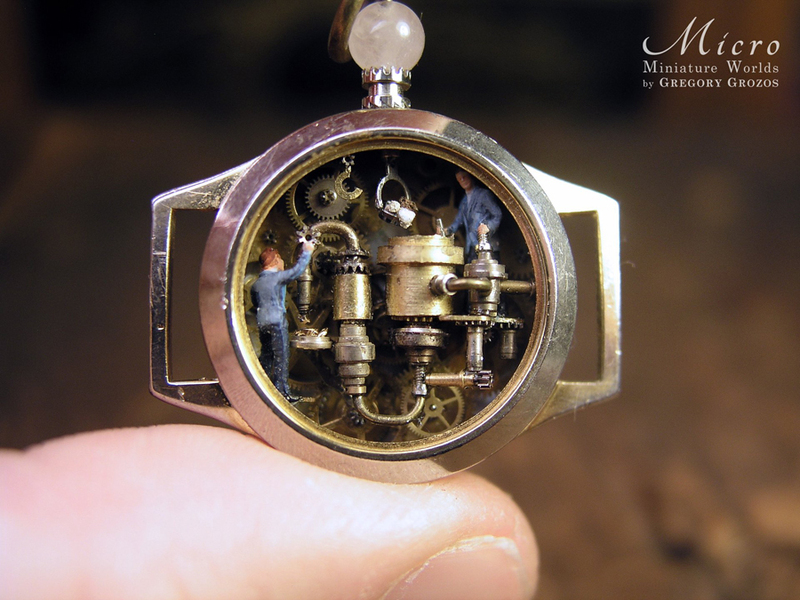 Gregory Grozos is a miniature artist and he calls every work he makes a “miniature world”. 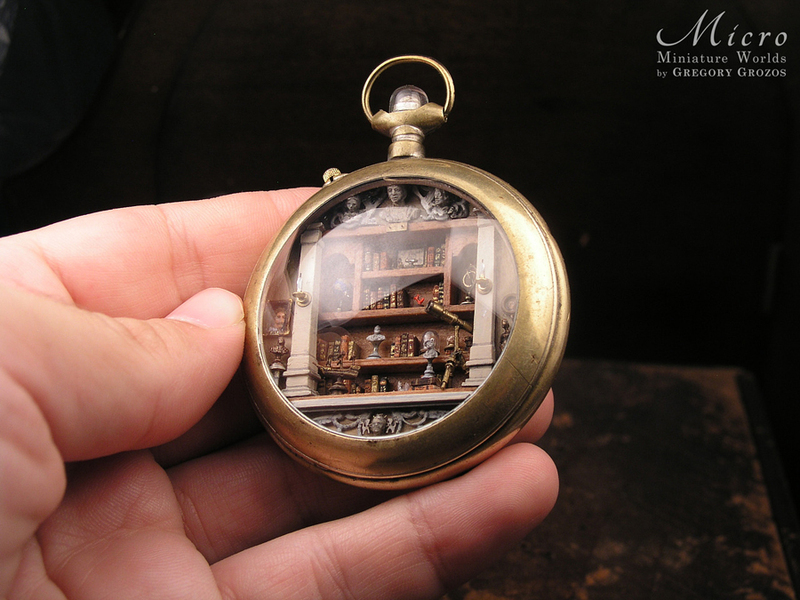 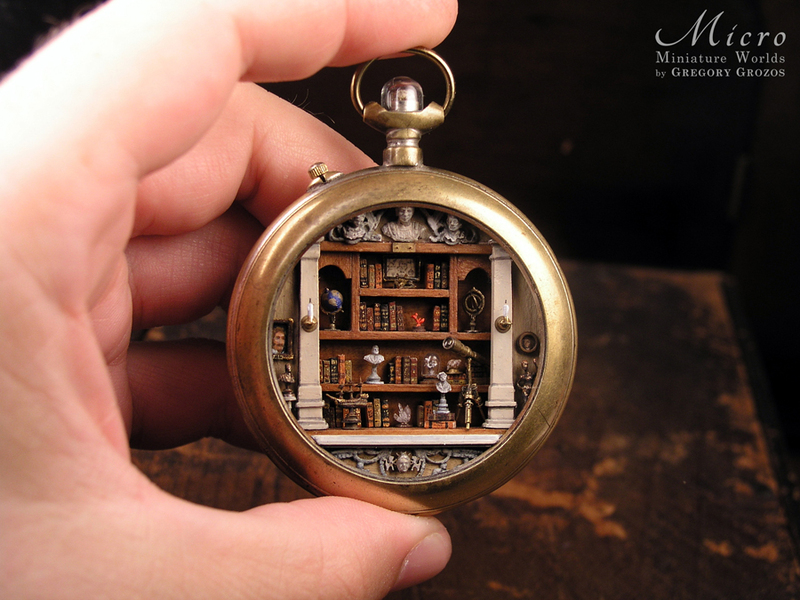 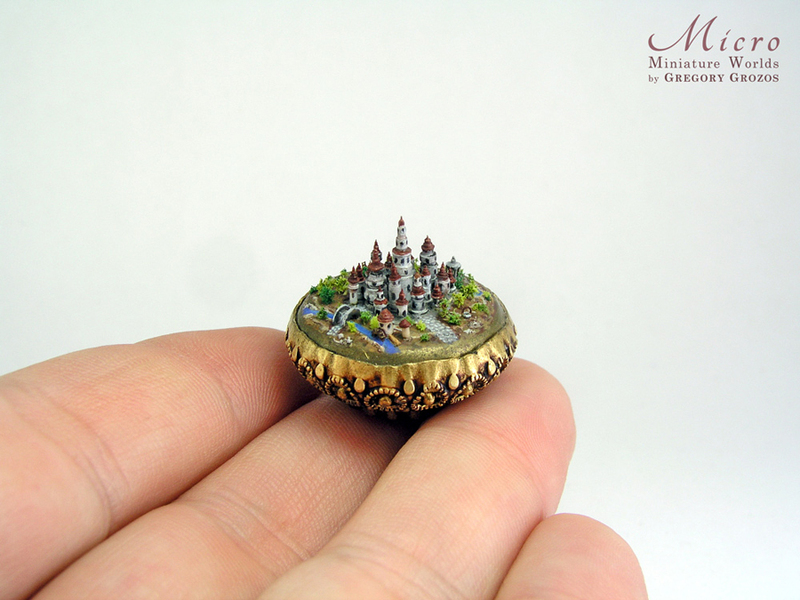 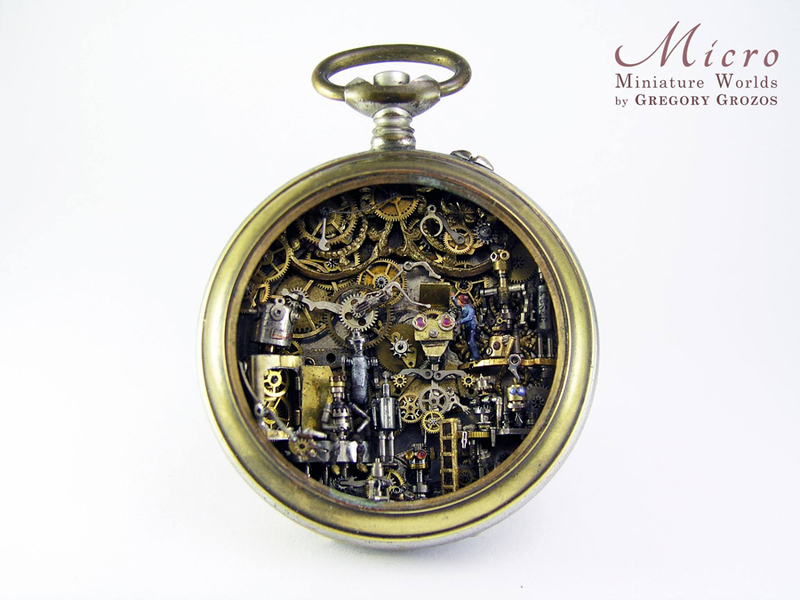 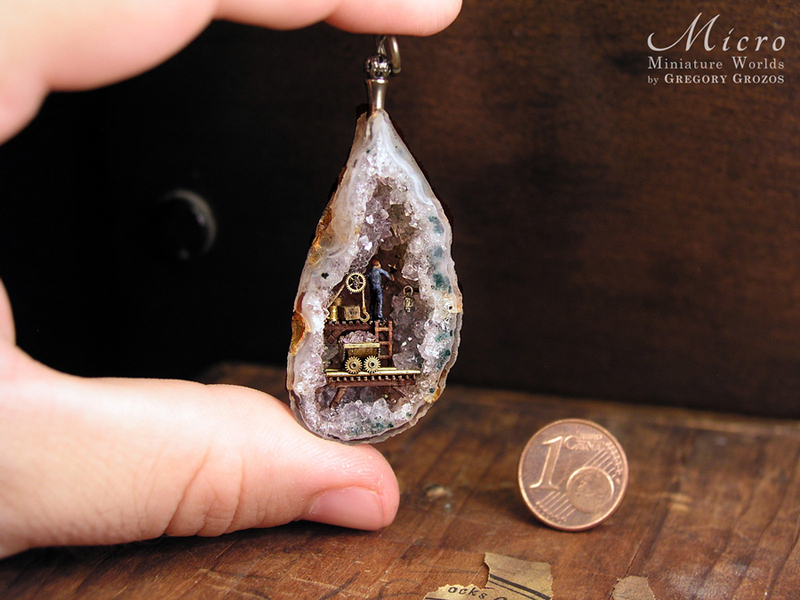 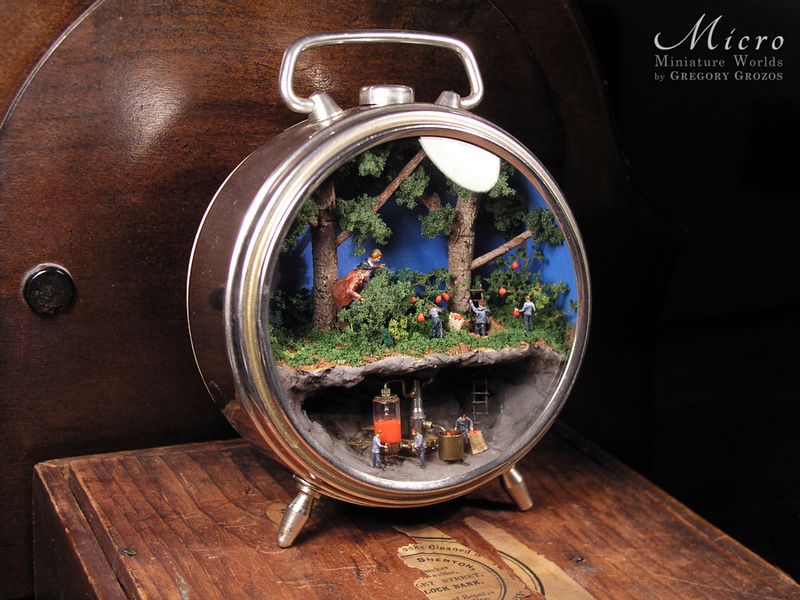 He uses small boxes and tiny watch/clock cases to make inside them incredibly detailed miniature scenes, often depicting floating cities, mythical beings, inventors and flying machines. 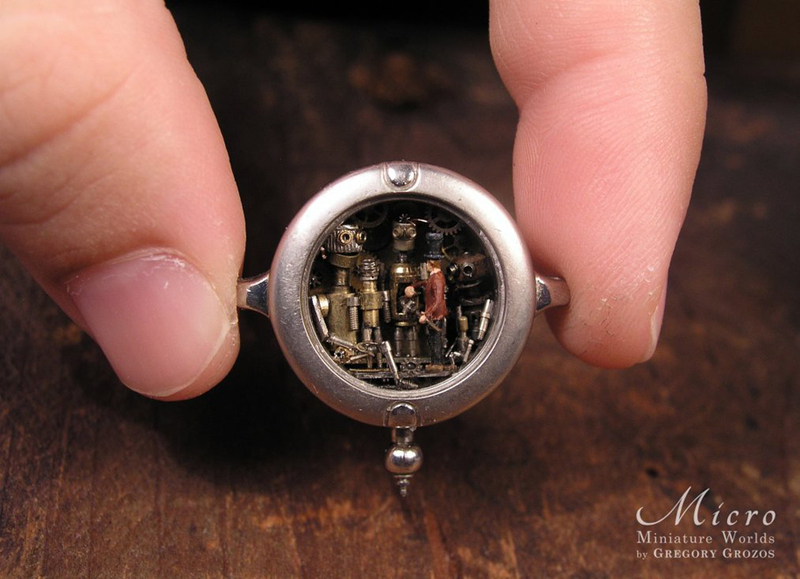 His works broadly belong to the genres of steampunk, fantasy, fairy-tale and magical realism. 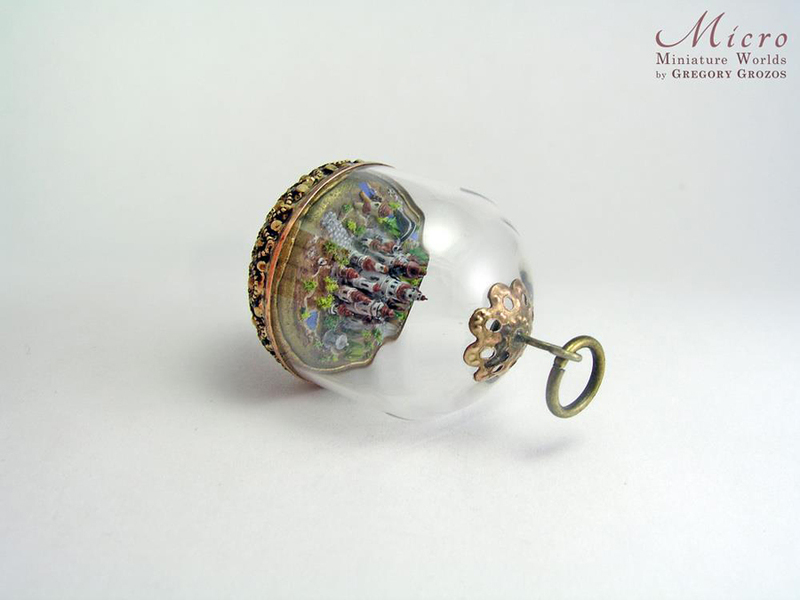 He takes part in art exhibitions and fairs both in Cyprus and internationally. 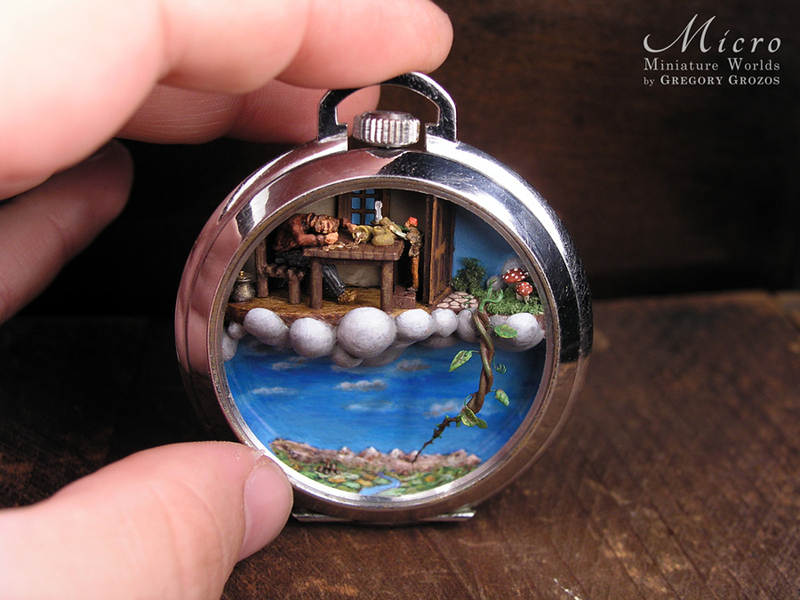 If you like such kind of art you might be interested in other miniature art works: miniature world by Michael Paul Smith and Kendal Murray’s miniature sculptures.